I really don't like it, but i think i was being prepared for this in high school...So weird. Mr. Know-it-All always says i have my heart on my sleeve (and he's right, just this once). i do have my heart on my sleeve with everything including my products and when ,your product is rejected, you feel rejected. But its supposed to be business and not personal, but oh is it so personal. Here are my hands holding this beautiful widget that i made and you are rejecting it or saying, "no more orders for you, sorry about your bad luck." It really hurts. Maybe this rejection is preparing me for more rejecting in the future, Yea! You build a product, work on it with retailers for months, sometimes a year, get a few orders only to find out they don't want to stock it anymore. That's a bummer. Sometimes the products are never accepted, other times they are and they last a short amount of time. And every retailer is different and wants different things. 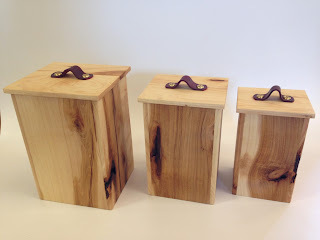 These are canisters for the kitchen counter made with some beautiful knotty hickory. I think they are quite fun, but the price negotiation with retailers will not be.......that's another post. 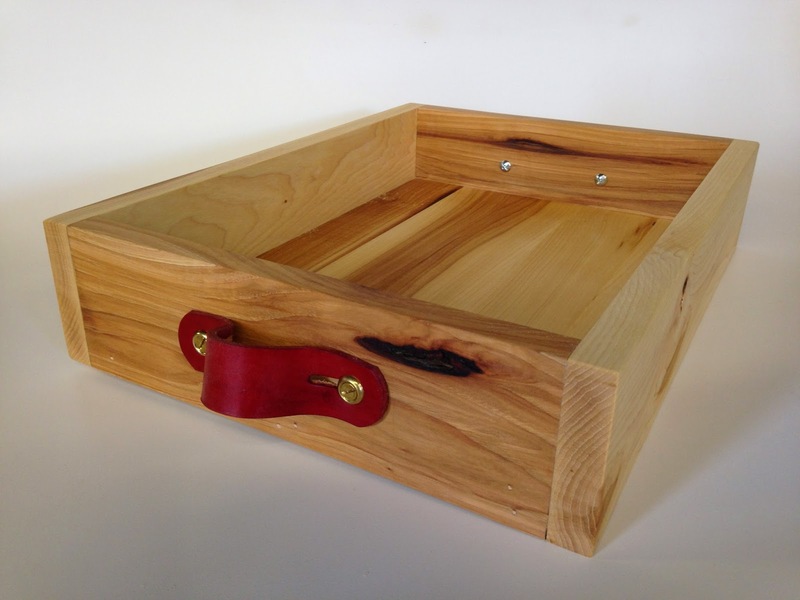 And this is a serving tray in the knotty hickory as well and i think it would make a great item for the kitchen counter but also even the coffee table.